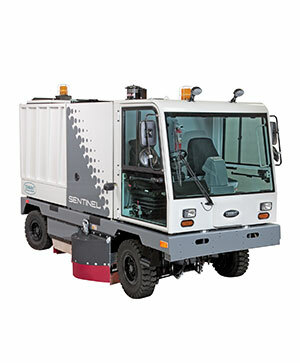 Deliver consistent sweeping results and easily maneuver through congested areas with four-wheel power steering. Get superior cleaning performance from your Sentinel with TennantTrue® parts that have been designed specifically to help maximise cleaning effectiveness in one pass and achieve better cleaning performance at a total lower cost. Achieve better performance while lowering costs associated with rework, labour, safety and maintenance by using genuine TennantTrue® brushes, specifically designed for your Sentinel machine. Don’t settle for less – choose TennantTrue® Brushes! Optimal performance for your Sentinel depends on Planned Maintenance. Rely on Tennant’s factory-trained service network for unmatched knowledge and expertise to maintain your machine and keep downtime to a minimum. Assures peace of mind – maintenance and breakdown coverage, provides budget management and control. Pay for services when performed based on actual labour and parts. 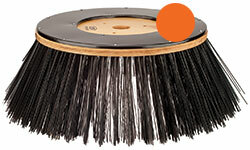 Optional Vario Sweeping Brush™ increases cleaning path width and productivity. 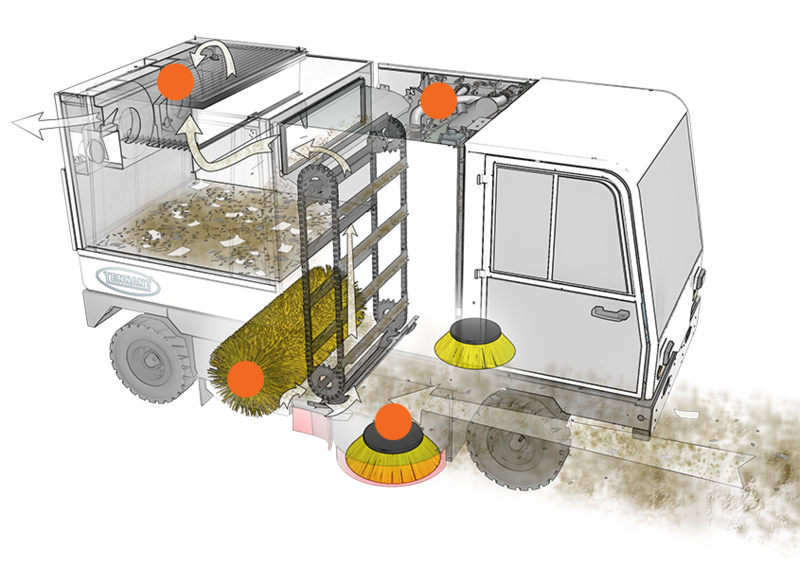 Large 3.1 m3 / 2.6 m3 debris hopper improves productivity and increases cleaning run time. Hydraulic-driven filter shaker motor keeps filter in good working condition for longer life and lower maintenance costs. Optional vacuum wand maximises productivity and allows debris collection from areas such as drains and under obstructions. Twin, hydraulically-driven vacuum fans provide exceptional dust control to protect employees and facilities. Full-length TotalView™ glass doors and windshield maximise safety by providing a clear view of sweeping area. Roomy, sealed cab interior maximises operator comfort and safety by keeping out noise and dust down with MERV 15 rated filter. Four-wheel leaf-spring suspension and pneumatic tires absorb road shocks and reduce vibration for improved operator comfort. Ensure your facilities are always looking great with a robust and proven design that enables you to sweep in any season. Exceptional dry-dust control system keeps facilities looking great. 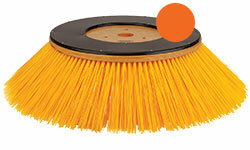 Optional dual side brushes and Vario Sweeping Brush™ provide 3,200 mm sweeping path to quickly clean large areas. Main brush centre-point suspension allows the main broom to follow the contours of uneven surfaces, improving sweeping results on virtually all surface types. Direct throw debris conveyor is engineered to efficiently collect all forms of debris to keep facilities looking their best. Four-wheel steering provides simple operator control and excellent maneuverability. Full engine access from lockable service panels enables you to perform quick and easy maintenance. Optional 2.9 m high dump enables discharging into large roll offs or dump trucks. 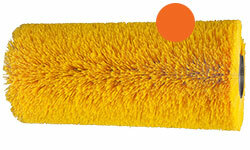 Optional high-pressure spray hose enables remote cleaning and machine clean-up.